To win capital, you must stand out from the crowd. The first way to do that is to have top-notch marketing collateral. You must provide potential investors with high-quality, professional materials—materials that engage them, communicate your message clearly and concisely, and present the information they want to see in a way that helps them to decide quickly and easily if you are a potential fit for their needs. LSN vets all of our clients’ marketing collateral and offer advice on how to refine the messaging. 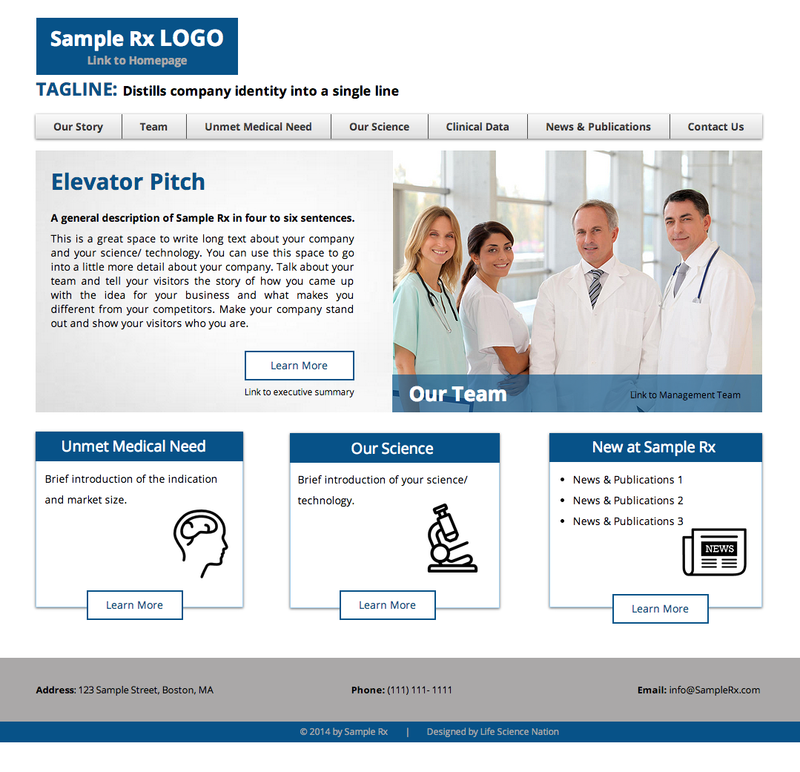 One of the services LSN offers is professional marketing and design consultation for fundraising life science companies, encompassing complete branding, messaging, website design and animated video. The figure below provides a list of the most common materials required to fundraise successfully. Here are samples of LSN‘s recent branding and messaging portfolio. Click on the logo designed by LSN to view the website. Contact our Branding & Messaging Team to get an investor-centric website template for free.